AndyScoggin (Matt Shifman) has had a passion for thoroughbred racing his entire life. Monmouth Park has always been home base. Secretariat’s performance in the 1973 Belmont triggered my love for racing. To this day Chic Anderson’s “tremendous machine” race call triggers emotion. I am a featured blogger for HorseRacingNation.com. “Racing at the Jersey Shore” covers the racing scene at Monmouth Park and “A New York State of Racing” discusses NYRA. I also vote for the Top 10 Thoroughbreds in the NTRA polls at http://www.NTRA.com/polls. 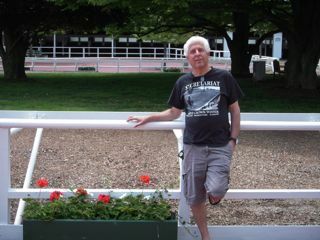 “AndyScoggin in NJ” will be blogging about thoroughbred racing.